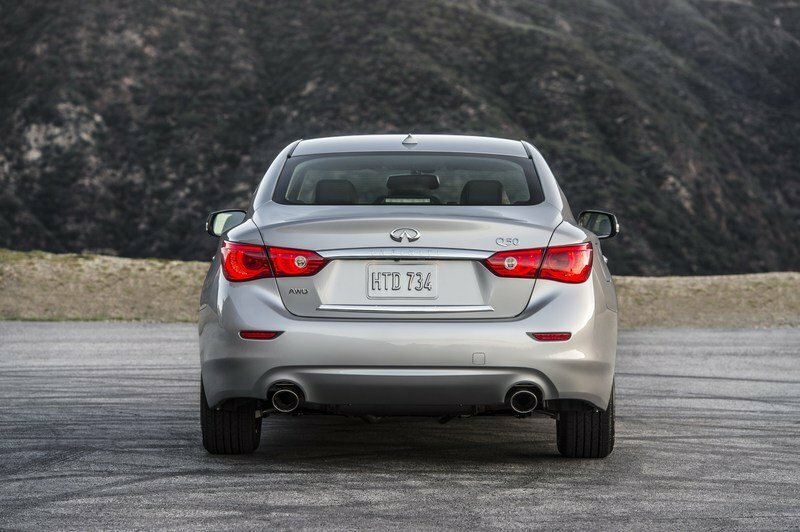 One of Infiniti’s newest nameplates, the Q50 was launched for the 2014 model year and it has already received a facelift for 2016. Changes included minor nips and tucks, a new adaptive steering, and a Red Sport 400 trim with more power and aggressive looks. Alongside the in-house made 3.0-liter V-6 and hybrid drivetrains, the Q50 also uses a 2.0-liter four-cylinder gas unit and a 2.1-liter diesel engine, both borrowed from Mercedes-Benz. 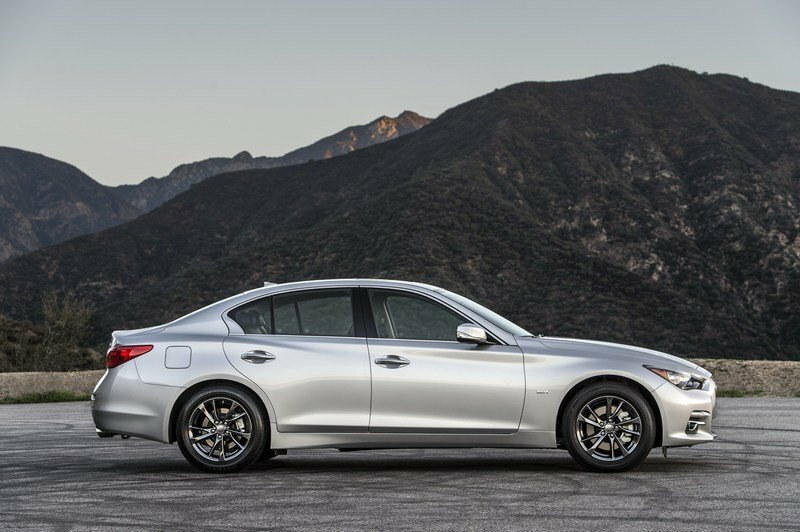 At the 2017 Chicago Auto Show, Infiniti introduced the Signature Edition, a limited-edition model based on the 3.0t trim. The second model to get the Signature Edition package after the QX80 SUV, this new Q50 adds a few extra standard features, while its pricing was set below that of the model it is based on. "Building on the Q50’s, award-winning performance and engineering excellence, we saw an opportunity to combine our sport sedan’s most popular features with even more distinguished style," said Randy Parker, vice president of Infiniti Americas. 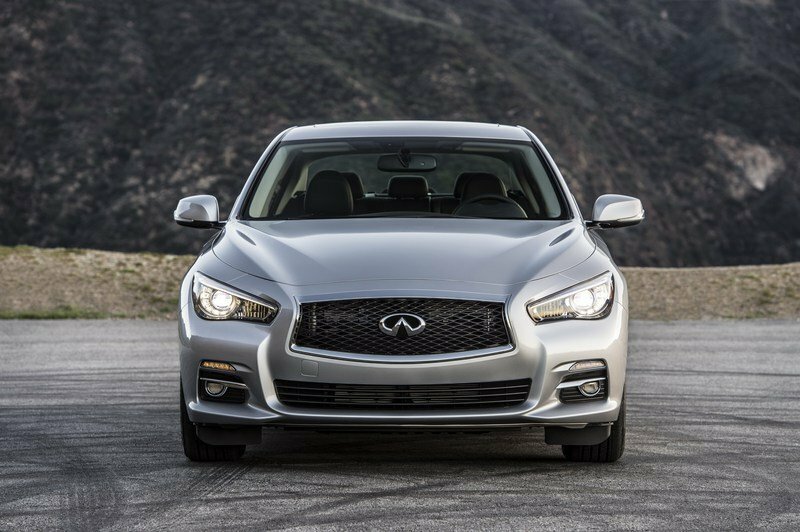 “We are continuously looking for ways to empower the drive for our customers, and we did just that with the addition of the Q50 3.0t Signature Edition to the 2017 Q50 lineup." 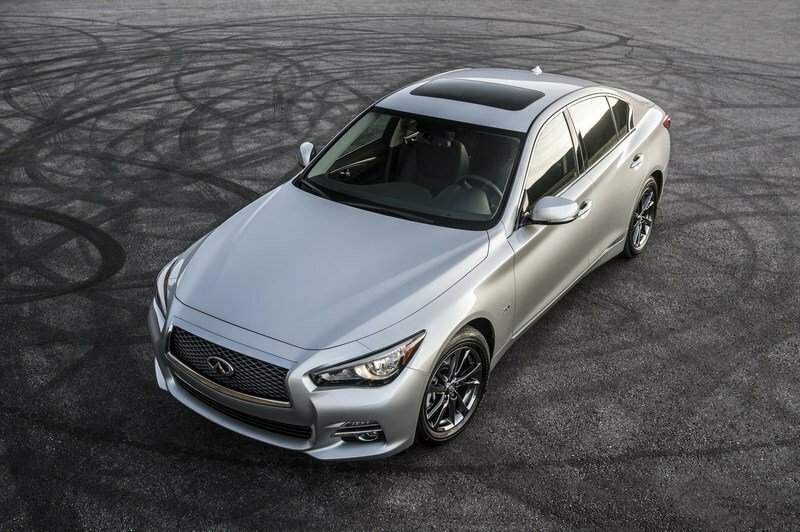 The Q50 3.0t Signature Edition went on sale in February 2017, joining a comprehensive lineup that includes four trims in various configurations. 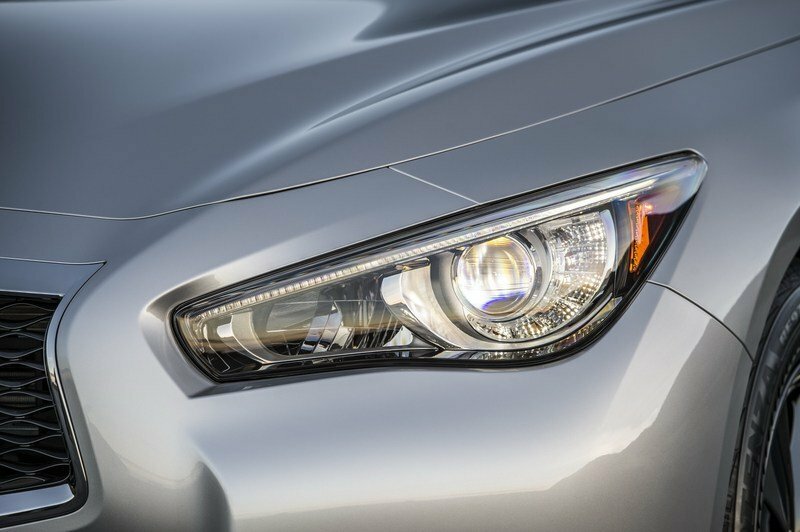 Continue reading to learn more about the Infiniti Q50 3.0t Signature Edition. 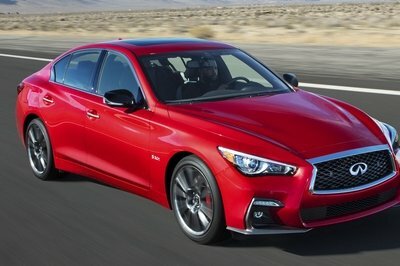 If you’re thinking about buying the Signature Edition in order to stand out among other Q50 owners, you’d better look elsewhere, as the package adds just one feature on the outside, Specifically, the sedan comes with a set of 17-inch, bright finish aluminum-alloy wheels wrapped in all-season run-flat tires. And that’s it! 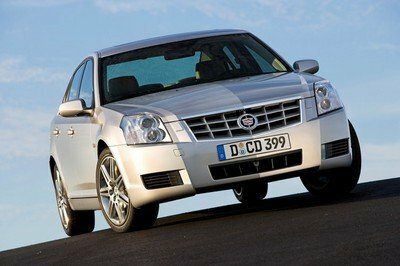 The sedan comes with a set of 17-inch, bright finish aluminum-alloy wheels wrapped in all-season run-flat tires. Inside, there aren’t any changes design-wise, and unlike the QX80 Signature Edition, you don’t get an exclusive upholstery. 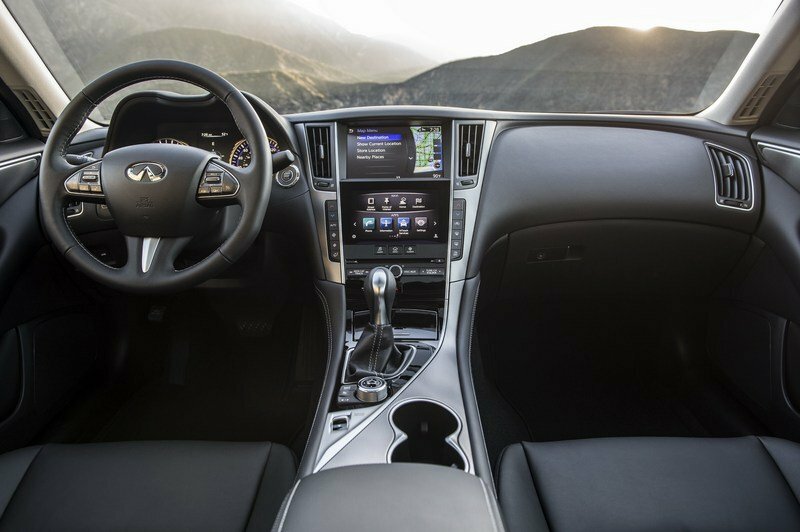 However, the Q50 comes with extra features such as a power-sliding tinted glass moonroof, Infiniti InTouch Navigation with 3D building graphics, and Infiniti InTouch Services with six months of safety, security, and convenience services. Inside, there aren't any changes design-wise, and unlike the QX80 Signature Edition, you don't get an exclusive upholstery. 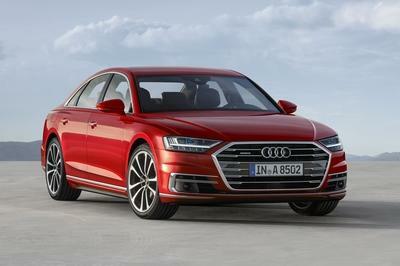 The sedan also features SiriusXM Traffic, Voice Recognition for navigation functions, Navi Synchronized Shift Control, the Advanced Climate Control System, and 60/40 split-fold rear seat. The latter is a cool feature in a luxury car, as it allows you to carry more luggage when needed. 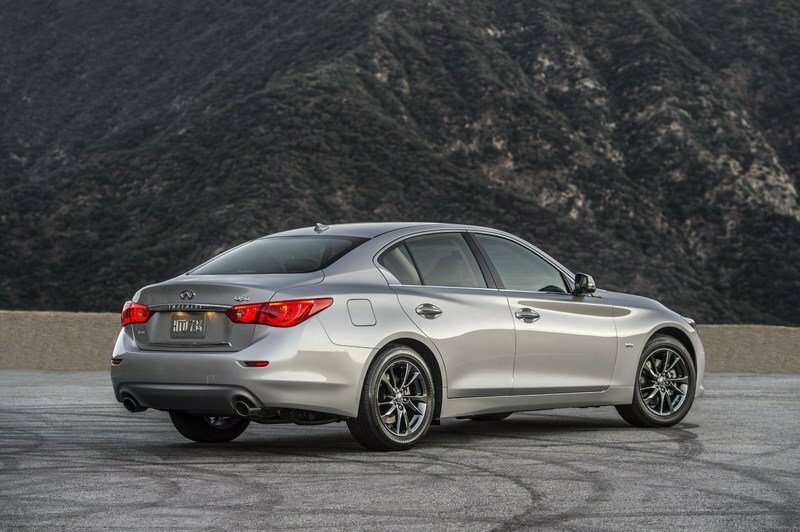 As the 3.0t name suggests, power comes from the twin-turbo, 3.0-liter V-6 engine that Infiniti launched for the 2016 model year. 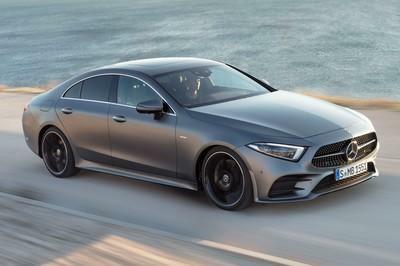 However, Infiniti went with the 300-horsepower and 295-pound-feet version instead of the more powerful, 400-horsepower and 350-pound-feet variant. Although it would have been cool to get the range-topping engine, the Signature is plenty powerful with 300 horses too. Not to mention that a less powerful engine means a more affordable price tag. 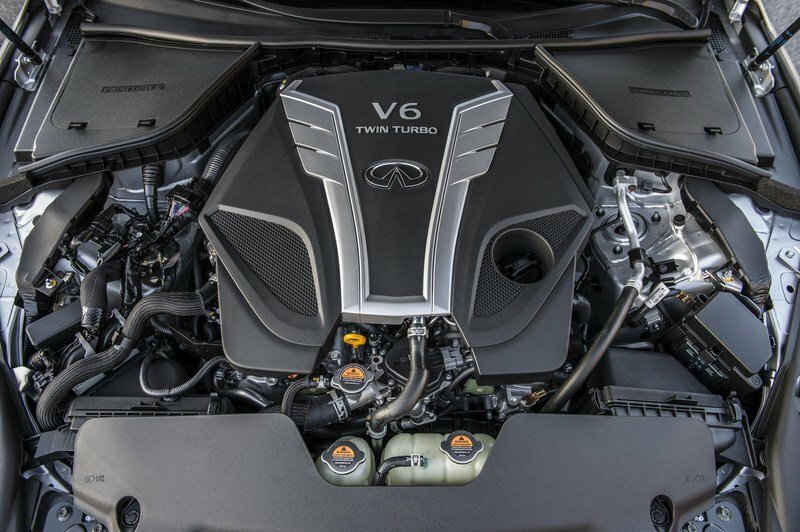 Power comes from the twin-turbo, 3.0-liter V-6 engine that Infiniti launched for the 2016 model year. Speaking of which, the Q50 3.0t Signature Edition costs $38,700 with rear-wheel drive and $40,700 with all-wheel drive. This sticker makes the Signature Edition the most affordable Q50 3.0t you can buy, helping you save $1,950 compared to the standard model. Given all the extra feature, it’s a pretty good deal. 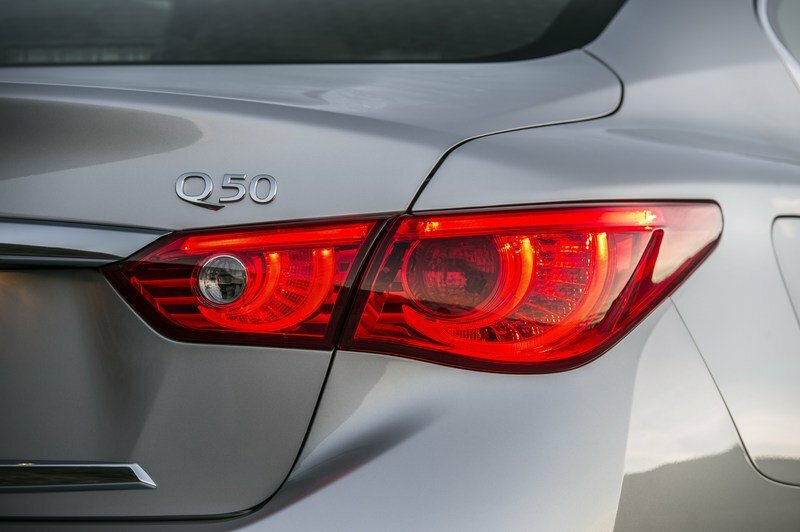 INFINITI today announced the addition of the new 2017 Q50 3.0t Signature Edition and the 2017 QX80 5.6 Signature Edition, which offer a blend of popular equipment and unique design features. Both models will make their public debuts at the 2017 Chicago Auto Show, which runs from Feb. 11 to 20 at Chicago’s McCormick Place. The new INFINITI Q50 3.0t Signature Edition offers a range of highly desirable features, including a power-sliding tinted glass moonroof, INFINITI InTouch Navigation with 3D building graphics, INFINITI InTouch Services including six months of safety, security and convenience services, SiriusXM Traffic, Voice Recognition for navigation functions, Navi Synchronized Adaptive Shift Control, 60/40 split-fold rear seat, and 17-inch bright finish aluminum-alloy wheels with all-seasonl run-flat tires. 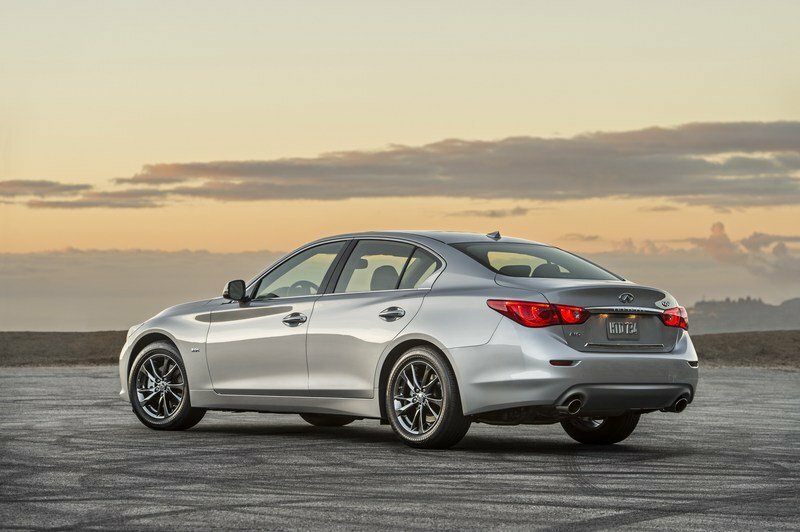 The new sport sedan model has INFINITI’s award winning 300-horsepower VR-series 3.0-liter V6 twin-turbo engine and is available with a choice of rear-wheel drive or INFINITI’s Intelligent All-Wheel Drive. 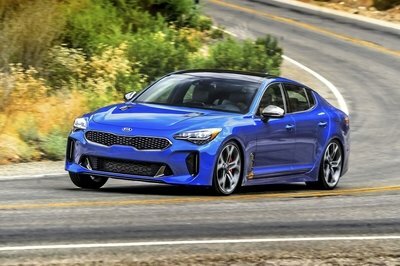 Along with its standard 3.0-liter V6 twin-turbo engine, which was recently named one of Wards 10 Best Engines, the new Signature Edition is equipped with LED headlights, LED rear brake lights and an Advanced Climate Control System. 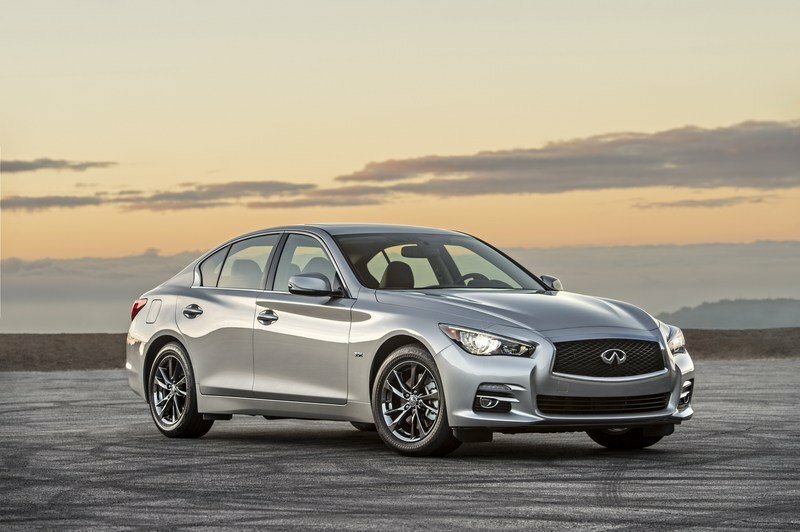 Pricing for the Q50 3.0t Signature Edition, available this month, is $38,700* for the rear-wheel drive model and $40,700 for the Intelligent All-Wheel Drive model.